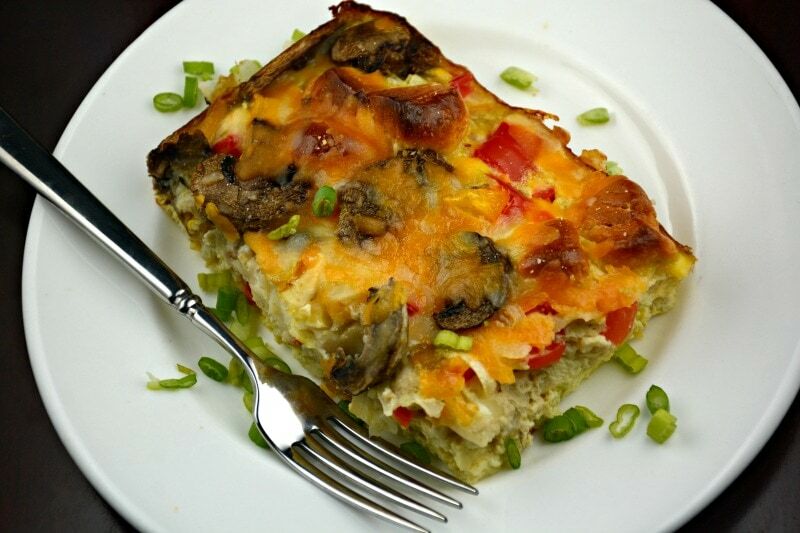 Eggs, Veggies and Cheese Biscuit Bake is so easy and so perfect for those mornings when you want to make something your family will just love. This simple breakfast casserole is perfect for any occasion. Actually you do not need an excuse to make this! 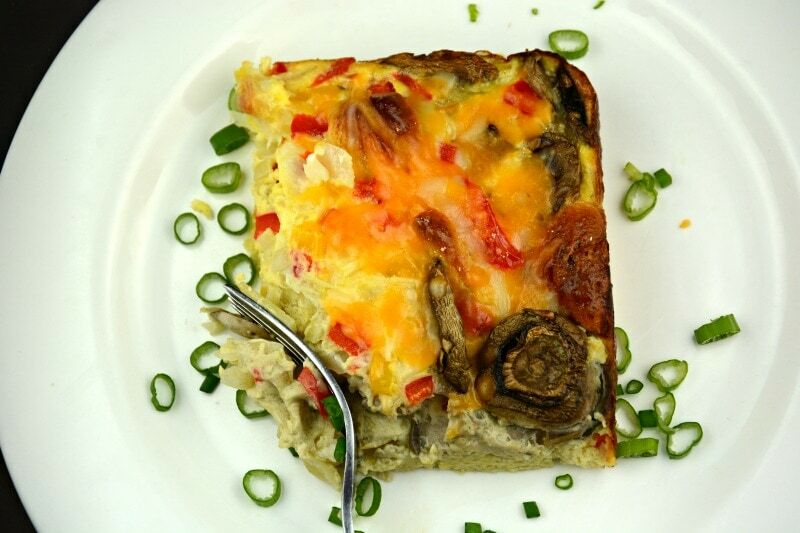 This recipe for Eggs, Veggies and Cheese Biscuit Bake is so versatile. You really can include any ingredient that you want to use from your refrigerator. Most mornings are pretty hectic around here. Everyone seems to be in a hurry. Everyone seems to be going in different directions. When everyone actually seems to be in the same place at the same time it is pretty special. That why this Eggs, Veggies and Cheese Biscuit Bake holds a special place in my heart. It makes me think of those special days when everyone is sitting around the table enjoying each others company and a delicious breakfast. As I mentioned those magically mornings are few and far between around here. Everyone is just so darn busy. One of our favorite things is breakfast for dinner. This casserole is also perfect for those occasions too. We call it “Brinner”, breakfast and dinner combined. Does your family have a name for it? I also think this Eggs, Veggies and Cheese Biscuit Bake would make a delicious brunch choice for a special meal with your friends. It is one of those dishes that seems like it took a great deal and time and effort. In reality it is simple! My favorite kind of dish. 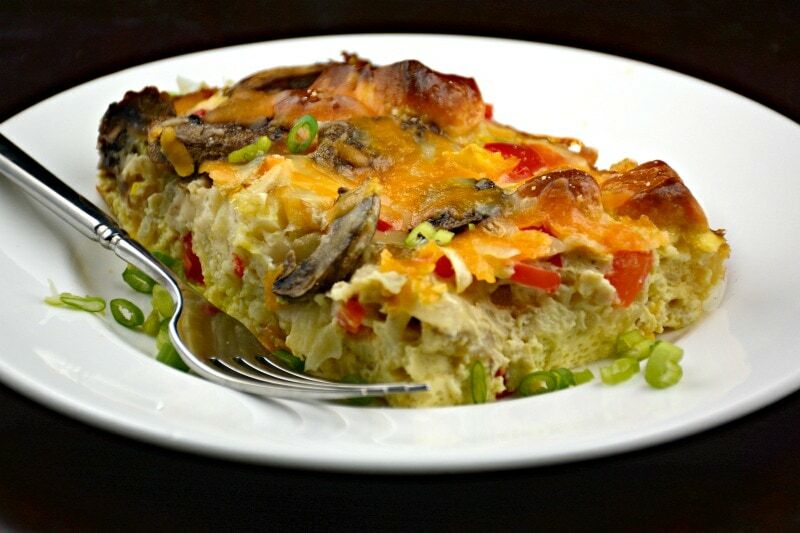 This Eggs, Veggies and Cheese Biscuit Bake is one of those casseroles that it is totally open to customization. You can use any vegetable you want to use. They all work perfectly. If you have left over veggies from something else you can toss them in this casserole. Another way to make this casserole your own is to add any meat you would like. I have tried bacon and sausage. They both were delicious! The original recipe does not call for meat, and it is delicious that way too! I hope you and your family can enjoy this casserole. I hope it allows you all to carve a little more time out of your busy schedule to enjoy each other! Prepare a casserole dish with cooking spray. We use a dish that is an 8x8 inch square. If you are using vegetables heat some oil in your skillet, on medium to medium high, until it shimmers or a drop of water flicked in it dances. Add your prepared vegetables, mushrooms first as they take the longest. Stir regularly until tender. Remove from heat and allow to drain on a paper towel or in a strainer. Set aside for a moment. Slice each biscuit into 6 pieces. Cut in half and then each half into three parts. Set aside. Stir about 2/3 of a cup of cheese into your egg mixture. Add biscuit pieces and cooked vegetables to your egg mixture. Dump mixture into your prepared dish. Add remaining Cheddar cheese to the top and broil for a minute or two to melt and brown cheese. Serve with some sliced green onions if desired. Serve and enjoy!